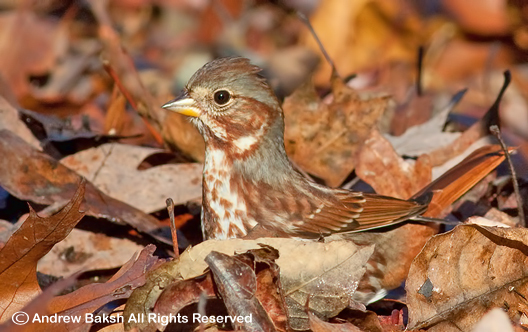 The annual Bronx Christmas Bird Count took place on December 26th. I decided this year to help out naturalists/birders, Eric Miller and George Dadone on their territory which covered areas in the East Bronx (East of Bronx River). Both Eric and George are excellent naturalists and Eric a phenomenal birder, so I was looking forward to birding with either or both of them. We met with the area leader David Kunstler and other teams at George’s Diner on Buhre Ave in the Bronx and after a quick breakfast began our day of birding. Eric and I teamed up together and we began a long day of “Ground and Pound” covering our territory that we were assigned. We got off to a fantastic start, picking up a couple of Common Ravens (Corvus corax) flying near the parking lot we had just left before we headed out into the woods. Taking the Pelham Bridle Path, we began adding to our day list, picking up several expected species in Fox Sparrows (Passerella iliaca), Blue Jays and Northern Cardinals to name a few. We had a few target birds in mind, such as Orange Crowned Warbler (Oreothlypis celata), Eastern Towhee (Pipilo maculatus), Brown Thrasher (Toxostoma rufum), Gray Catbird (Dumetella carolinensis) and Hermit Thrush (Catharus guttatus) + any Owls we could find. Our first target bird was about a mile in as a Brown Thrasher flushed after some well intentioned pishing by Eric. We thought it could have been the bird I spotted on the trail as we neared the area, but we could not be sure. A little further up the trail, after getting our only Wild Turkey of the day (a rather unhealthy looking individual), Eric pished up an female Eastern Towhee. 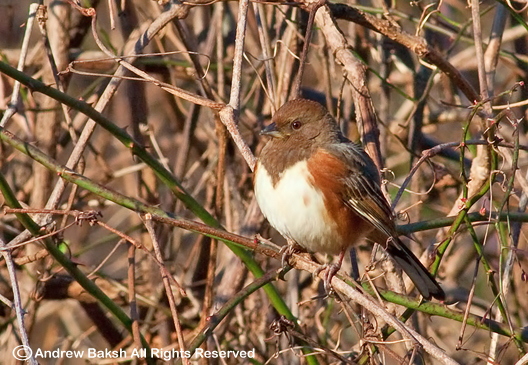 This would be the first of two females of the day as we ended up with 7 Eastern Towhees, five of which were males. I marveled at the difference in location and results as it pertained to Towhees; the week before, I could not buy a Towhee during the Captree Christmas Bird Count despite several forays into dense undergrowth. We continued birding and were surprised at a flock of Rusty Blackbirds (Euphagus carolinus) flying over the marsh and into the golf course. We would later venture into the Golf Course and added several birds to our list though we never connected with the Rusty’s again. 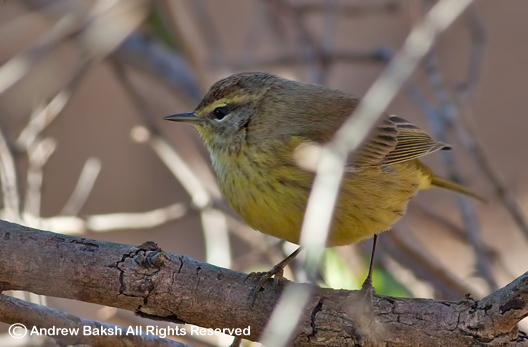 Another mile or so into the trail near Split Rock, we picked up two Palm Warblers (Setophaga palmarum), one bright individual and one drab looking bird. We later heard from George that he had found a Savannah Sparrow (Passerculus sandwichensis) in that same area and both species turned out to be saves for the count. Near the end of our hike we flushed a Great Horned Owl (Bubo virginianus), who was probably not impressed with our forays into the undergrowth near its roosting spot. In that same area we managed to pick up a couple of Swamp Sparrows (Melospiza georgiana) and a lone Gray Catbird. After connecting with George later in the afternoon, we met up with Steve Walter on City Island and tried to find a female Barrow's Goldeneye (Bucephala islandica) he had reported earlier, but we could not find it. We returned to scan the landfill for Short-eared Owl (Asio flammeus), but was unsuccessful, though we flushed an American Woodcock (Scolopax minor) near the stables, which also turned out to be a save. For those of you not familiar with the CBC lingo, SAVE means finding a specie that no other teams found on that day. We had excellent weather for the time of the year and it contributed to a rather enjoyable day out in the field. I had a great time birding with both Eric and George and I hope that I get to team up with them again next year for another round of CBC birding. Click here for count details and highlights. Beautiful pictures Andrew! Even under the pressures of a"bird count".